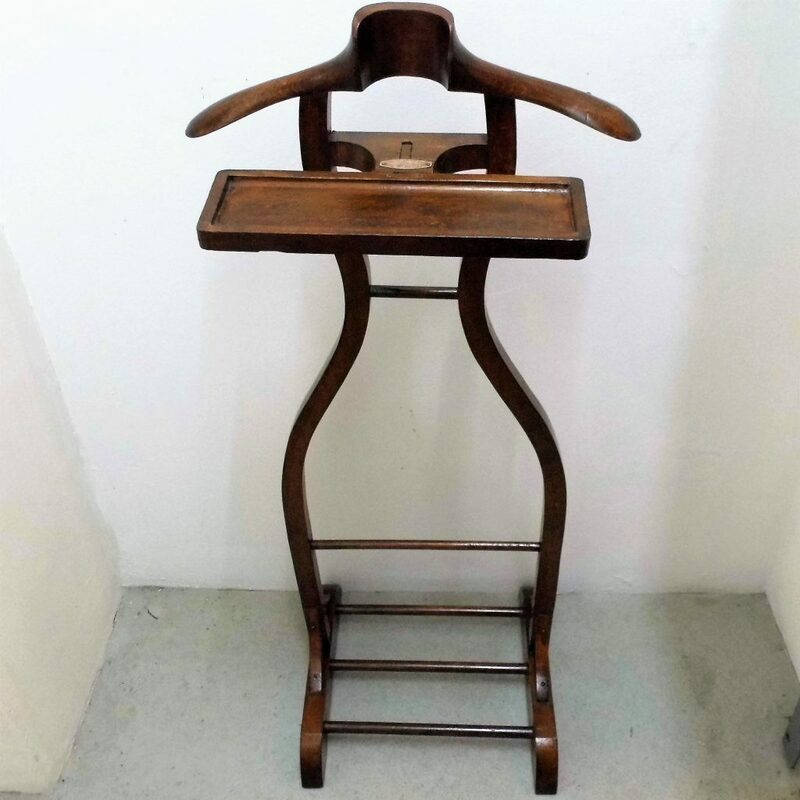 A very stylish Art Deco Valet Stand by Praktik of Paris circa 1930. 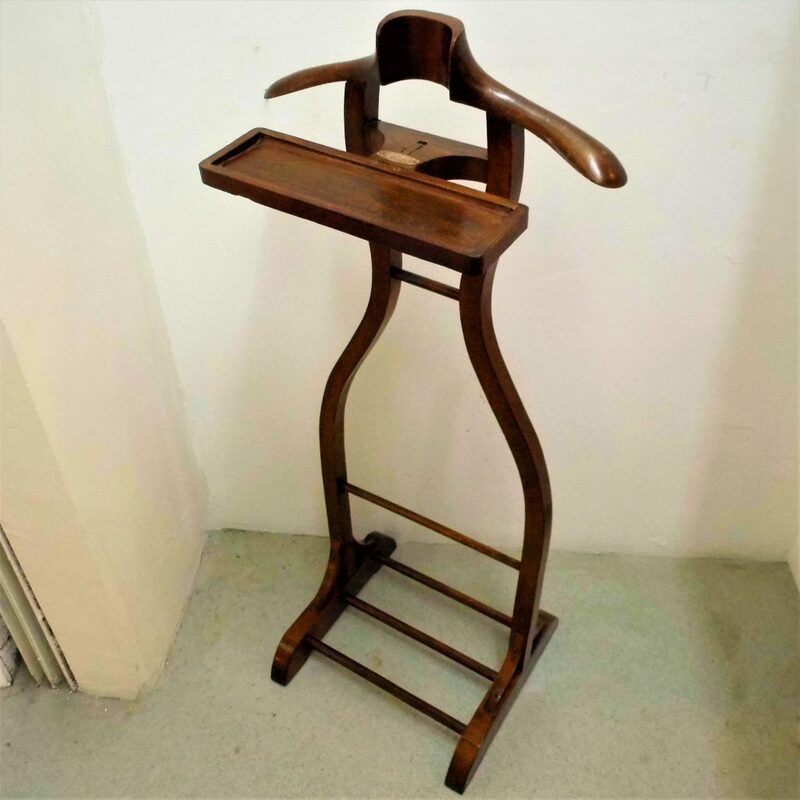 Made from polished beech this Valet stand has an unusual and distinctive feminine form. It bears a Praktik of Paris metal makers label and has hinged accessories tray. 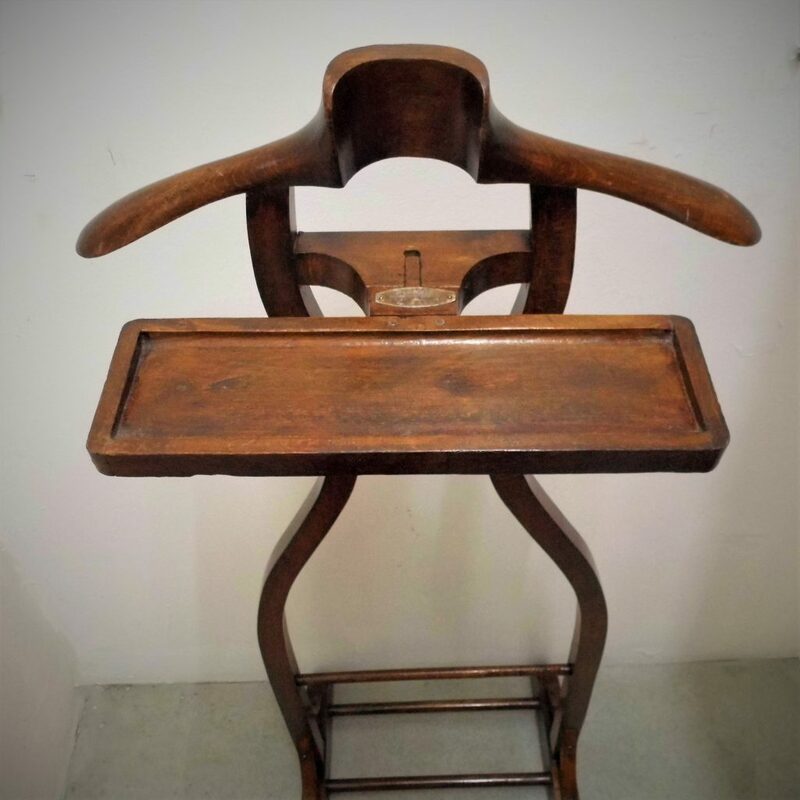 It is in very good vintage condition with slight wear commensurate with age and is both sturdy and stable.